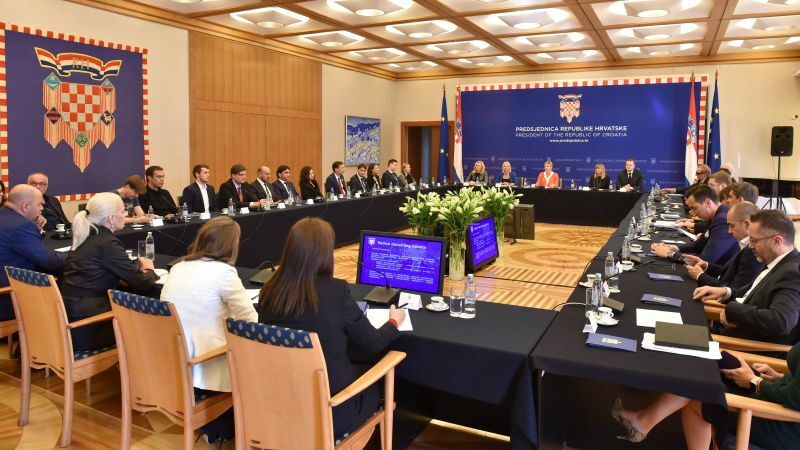 The President of Croatia Kolinda Grabar-Kitarović held a roundtable on the “Identity and Brand of the Republic of Croatia”, which was attended by experts from the field of marketing, including image marketing, branding, sports and culture. “The Republic of Croatia has a well-recognized tourist and sports brand, but it should create its own powerful and effective national brand because it will give us a key competitive advantage over other countries”, said President Grabar-Kitarović. Emphasizing the importance of creating image and branding, President Grabar-Kitarović warned that Croatia as a country did not build a sufficiently recognizable image that would strengthen its position in relation to other countries and in international relations as a whole, and especially in relation to the countries that are our direct competitors in the areas in which we wish to stand out. “In a globalized world, a country’s image plays an extremely important role since it determines the number of factors that define its position, competitiveness and influence in international relations – but also the economic, demographic and other trends important for the stability and prosperity of the country”, emphasized the President of the Republic. President Grabar-Kitarović also said that any branding campaign can only have a short-term and transient effect if it is not accompanied by appropriate and concrete political and institutional measures that sustain the country’s credibility in the long run, its leadership and population, while focusing on the common values and celebrating the successes and achievements of its individuals in Croatia and the world. “Croatia has the advantages and conditions necessary to become a powerful brand on the global scale because we are recognizable thanks to our natural beauty (especially our coastline and Dubrovnik), and now also thanks to our success at the World Cup”. President Grabar-Kitarović added that we also have world-renowned figures such as Marulić, Meštrović, Tesla and Penkala, which we have not yet fully promoted as prominent Croatians who have greatly contributed to the overall world heritage. 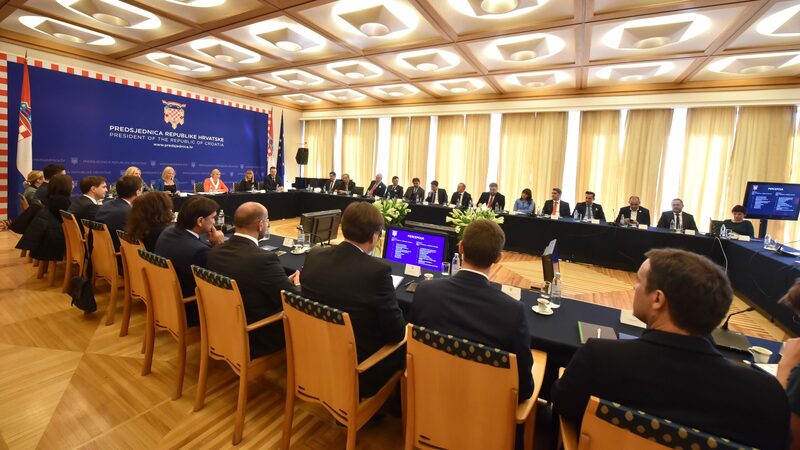 The Croatian President also noted that many governments in the world have taken this endeavour seriously by pooling, under an umbrella organization, all key stakeholders (e.g. : diplomats, businesspeople, scientists, athletes, artists, NGOs, local governments, etc.) and by building and working continuously to maintain a powerful brand. President Grabar-Kitarović warned that Croatia needs such an approach and said that she seeks to change this by setting up a working group for the branding of Croatia, which would be headed by Professor Dubravka Sinčić Ćorić from the University of Zagreb Faculty of Economics and Business.